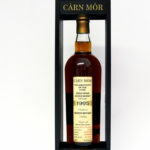 This entry was posted in Uncategorized and tagged Collecters, Dalmore, Dee, Richard Paterson, Rivers, Spey, Tay, Tweed on 29 January 2011 by Mike. The Dalmore Rivers collection is four whiskies created by Richard Paterson so you can expect exceptionally well crafted whiskies. Richard has tried to reflect the character, charm and differences of each of these great fishing rivers. A donation will be made from the sale of these whiskies to the charitable trusts who work to keep these rivers beautiful. Each whisky is bespoke and unique in character, much like the great rivers they support. These whiskies feature in Steven McConachie's tasting during the Spirit of Speyside Whisky Festival 2011. Come an try them then. Nose: Powerful and Positive. Full bodied with vibrant notes of spicy cinnamon, followed with dark roasted coffee and chocolate. Taste: Enticing flavours of tangy orange peel, ginger, liquorice and walnuts, followed by ripe plums and wild berries. Nose: Warm inviting aromas of patchouli, jasmine and marzipan. Taste: Christmas pudding, orange rind, hazelnuts and ripe cherries, followed by hidden flavours of Java coffee and rich treacle. Taste: Intense flavours of crÃƒ¨me brulee, Colombian coffee and bitter chocolate lead the first wave. Yet within seconds enchanting suggestions of honeyed pear, crushed almonds, sweet blood oranges and cranberries provide the perfect finish. Sip and savour. Nose: Warm and inviting. Seville oranges, crushed pear, bergamot and apple. Marzipan and rich caramel follow completing the bouquet. Taste: Tantalizing flavours of spicy ginger, marmalade and cinnamon followed by Whispers of nutmeg and toffee leaving the perfect after taste.